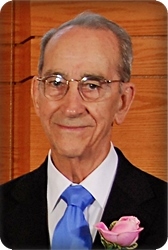 Paul Winston Bennink, age 96, of Kentwood, went to be with his Lord and Savior on Saturday, March 16, 2019. Paul proudly served his country in the U.S. Army during WWII and went on to work as an accountant at General Motors for 30 years. He was preceded in death by his wife of 70 years, Gretta; daughter-in-law, Shirley; parents, John and Everdeen; brother and sister-in-law, John and Anita Bennink. A loving husband, father, grandfather, and great-grandfather, Paul will be deeply missed by his children, Carl Bennink, Greg and Bea Bennink; grandchildren and great grandchildren, Ryan and Melanie Bennink (Kyle, Owen, Emma), Kerry and Dustin Beachy (Brendan, Aidan, Peyton, Evan), Sara and Kevin Woltjer (Paul, Mae), Kristin Bennink (Cory Williams); sister-in-law and brothers-in-law, Elaine and Tom VanZalen, Robert Bosscher; several nieces and nephews. The family expresses special thanks to Faith Hospice and Visiting Angels for their loving care. The family will greet visitors on Wednesday, March 20, from 6 - 8 pm and on Thursday, March 21, from 10 - 11 am at Stroo Funeral Home, where the funeral service will begin at 11 am. Rev. Steve Hull will officiate. Interment will be in Pine Hill Cemetery.